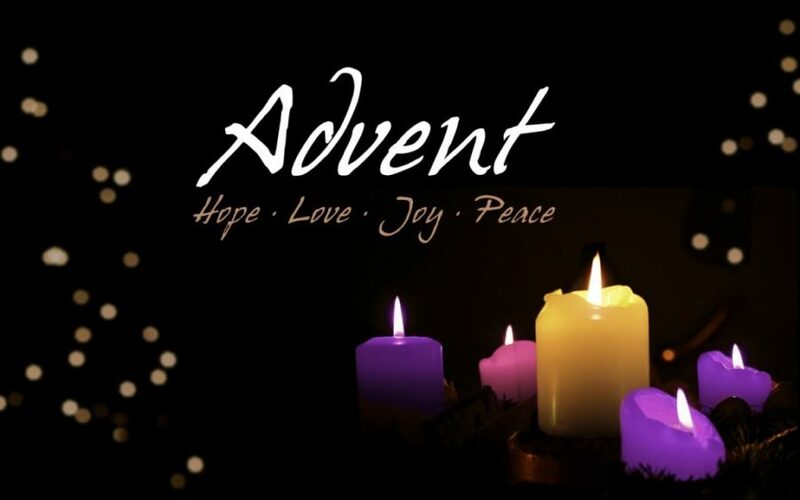 During the season of Advent, which prepares us for Christmas, we share in the hope, peace, joy and love of Jesus as we contemplate his three-fold coming (advent) for our salvation: Jesus came 2,000 years ago through the Incarnation, permanently uniting his divinity with our humanity. Jesus comes now through the Holy Spirit, indwelling those who believe. Jesus will come again bodily at the end of the age, ushering in the fullness of the kingdom of God. 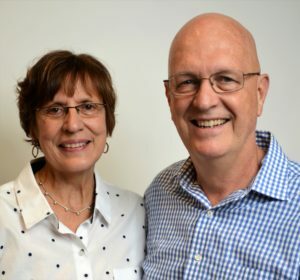 During Advent this year, in addition to contemplating our Lord’s comings, my wife Donna and I will be reflecting on the ways our triune God has been faithful to us throughout the many years of my employment with WCG-GCI in ministry (I’m retiring shortly after Christmas, though I’ll continue teaching and serving as a board member at Grace Communion Seminary, and volunteering as a GCI ministry coach). Let me share some of those reflections with you (including ones related to Equipper). I’ll also share some thoughts concerning the road ahead for GCI, then conclude with an outline of the contents of this issue. In 2006, Dan Rogers (then Superintendent of U.S. Ministers) asked that I launch Equipper (click here for the inaugural issue). The goal then, as now, was to equip GCI pastors and ministry leaders to participate with Jesus in his ongoing ministry. After taking on Equipper, I was asked to also produce The Surprising God blog and GCI Update. To that was added work on GCI websites and Facebook groups. Throughout the years, this editorial work has been informed by my concurrent service in ministry as a pastor, district superintendent, Generations Ministries director, regional pastor, mentor and ministry coach. Add all these up, and it’s been 32 years of GCI-employed ministry. Shaped by a sense of calling from God, my passion and focus throughout those years has been “to equip [God’s] people for works of service, so that the body of Christ may be built up” (Eph. 4:12). What a journey it has been! Though sometimes overwhelming, it has always been a blessing and privilege, leaving me with many wonderful memories. For that, I thank our Lord, my wife, and all of you, the men and women I’ve been blessed to journey alongside. Many of you have given me lots of encouragement, along with direction and support in multiple forms. Most importantly you’ve given Donna and me your prayers and friendship. As a Christ-centered, gospel-focused team (We are GCI! ), I see our future as bright, despite the challenges of living and sharing the gospel (our mission) in ways that lead to healthy church (our vision) in a world that grows increasingly postmodern and post-Christian. We need not fear this reality, and we must not hold back in moving forward. Jesus has this! (Eph. 3:20-21). Though I’ll miss working with Equipper, I’m grateful to be leaving it in capable, dedicated hands. As Greg Williams mentioned last month, Rick Shallenberger is taking over as editor and publisher of Equipper later this month. I know you’ll support him as you have me. We hope you like the new look for Equipper introduced with this issue. The changes we’ve made bring this publication into alignment with GCI’s new branding, seen already on our new websites. Within this issue, in addition to our regular Equipper features, you’ll find various tools designed to help your congregation pursue our shared vision for healthy church. You’ll also find two articles that conclude our series on worldview conversion—whole-life discipleship. I encourage you to use the articles in this series for personal study and for guided discussions in your congregation. To minister well in a post-Christian, postmodern world, it’s vital that we be equipped to deal with the challenging issues these articles address. It’s my prayer that all the resources we provide in this issue (along with all other issues of Equipper) will help equip you for the gospel ministries to which our Lord has called you. Thank you, Ted, for all you’ve done for us. The Equipper, specifically, is a great help to us as we pastor and make disciples. The new GCI resources are a blessing. Thanks so much for your part in it all! My personal thanks also goes to you. Many hours (one can only suspect) have been invested in our media outreach and in no small way your dedication, pastoral heart and academic excellence have been a major ingredient in the sucessful development of a more focused and intentional publications outreach. I am thrilled that the gained experiences will continue to enrich our fellowship in the future as you concentrate on new challenges and service opportunities. We “owe” you, my brother. Thanks also, Ted, for taking the time to write the forward for my book in addition to all of your other. duties. I’m forever grateful. Thank you Ted for your faithful response over all these years. Although we have not met each other personally, you have been a blessing to us in helping us keep the right focus on our loving God and Savior Jesus through the Holy Spirit. May you and your wife continue to be richly blessed in your retirement years. Ted, your many years of service and guidance has been a rich blessing to all of us! Thank you to you and Donna! You are loved and respected! Grace and peace brother. Thanks to you Ted and your wife Donna for everything you both have been to the church down through the years. I wish you a very happy retirement and enjoyment with your family who I know will enjoy seeing you more, just as I have after I retired. My daughter said it has been nice to be able to talk to me when she visits in the sense that I was always busy doing or preparing something for the church in Topeka. I will miss your articles in Equipper and your service over the years. Knowing you and Donna for these many years has been a pleasure. You both have been an inspiration to me in my personal journey to be closer to Jesus. Listening to Him with my whole heart in order to receive, in abundance, the joy, peace and love He has been trying to give me all of my life. Thank you so much for your ministry Ptr. Ted! Thank you so much ted. Cristito Rico, Senior Pastor-GCI Iligan City,Mindanao, Philippines. Godspeed brother, and thank you. Ted, it’s hard to find adequate words to express how much positive impact you’ve had in my life and ministry. I’ve always wished I’d had more opportunity to work with and just spend time with you as a mentor and friend. Thanks for the past; praying Father’s blessing on your road ahead. Thank you! You’ve been a blessing to GCI! May our Lord bless and keep you. Thank you so much for your amazing humble encouraging powerful leadership. You example shines with grace and strength, insight and wisdom. Thank you for the many articles, sermons, and ideas that have blessed so many of us through the years. Looking forward to your book!! !